Betsafe – Live Casino Weekend Bonus Races! Play for a daily bonus! Earn a bonus package of up to €1,000, split into 5 daily bonus drops! The race is on and this time, it’s just player against the clock. No competitors and no leader boards, simply wager on Live Blackjack or Roulette to get to defined checkpoints to secure your reward. This comes in form of daily bonus drops from Monday to Friday. Every time a player reaches one of the Checkpoints, the stakes get higher and so does the prize, up to €1,000 for the week, that is €200 for every weekday. Put the pedal to the metal during every weekend throughout August 2017 and earn a superb bonus package, paid out in daily bonus drops during the week. Wager from Saturday to Sunday to get to defined checkpoints and enjoy a bonus every day from Monday to Friday. Each weekend, all wagering from Saturday to Sunday will be accumulated to determine which checkpoint has been reached and the level of the bonus reward. Players can only get one of the Checkpoint bonus packages per week, the highest they have reached by midnight on Sunday. 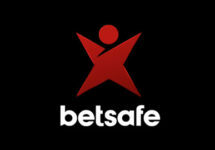 All bonuses will be credited daily from Monday to Friday with a 35x wagering requirement within three days, subject to the Betsafe bonus terms and conditions. 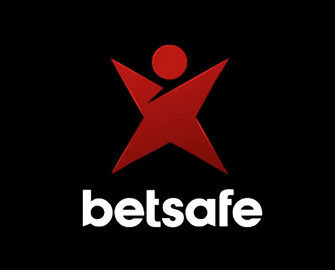 Launched in 2006, the casino is operated by BML Group Ltd. under MGA and UK licenses. The player has the choice of mobile, tablet or desktop platforms with Casino, Sportsbook, Live Betting, Live Casino, Virtual Sports and Poker. The Casino section has a large array of games from Netent, Bally, Barcrest, Bet Digital, Cryptologic, Elk Studios, Foxium, IGT, iSoftbet, JFTW, Leander Games, Lightning Box, Microgaming, NextGen, NYX Interactive, ONgame, PariPlay, Play’n GO, Pragmatic Play, Push Gaming, Quickspin, Realistic Games, Red Tiger Gaming, Scientific Games, Thunderkick, Williams Interactive and Yggdrasil. The LIVE Casino tables are powered by Evolution Gaming, Extreme Live Gaming, Netent Live and Portomaso Gaming.